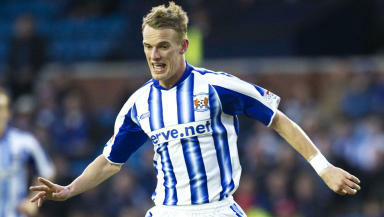 Following his PFA Scotland Player of the Year nomination, Shiels has spoken about his future at the Ayrshire club. Kilmarnock star Dean Shiels has said his father and club manager Kenny Shiels' style of play is the reason he was nominated for PFA Scotland Player of the Year. Shiels has had a fantastic season with the Scottish Communities League Cup winners and hopes to extend his stay. He has made the shortlist along with Jon Daly of Dundee United, Rangers captain Steven Davis and Charlie Mulgrew of champions Celtic. He said: “I have really enjoyed my football this year. It is easier to enjoy it when you are doing well. “I would like to stay in Scotland. I will be out of contract in the summer, and I can’t rule out moving back to England or further afield. I am really enjoying it here, and that is going to play a big part in my decision making. “Taking away the fact that he is my father, in the summer when I wanted to leave Doncaster, I wanted to go to a team where the manager would knew the style of play that I would do well in.